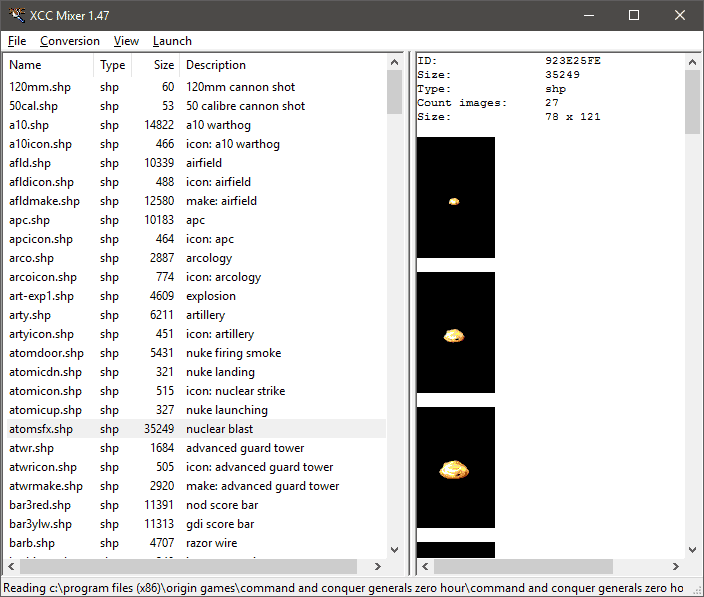 XCC Utilities is the defacto set of tools for modding classic C&C games. XCC Mixer allows you to create and modify the games mix files and convert game files to other formats such as .aud to .wav. XCC Mix Editor allows to to create mix files for older titles such as C&C1 and RA1.